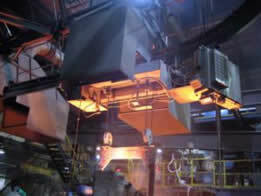 Available in capacities of ½ to 300 ton and larger. 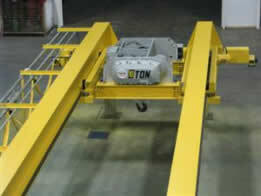 High lifting speeds and various duties available. 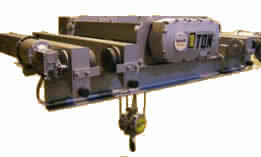 They are most ideal for bridge cranes 5 tons and over. Need a quote in a hurry? 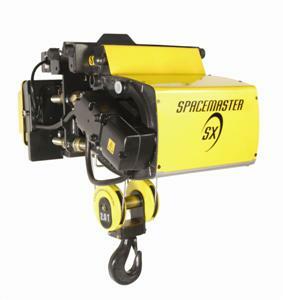 Most electric wire rope hoists can be quoted same day. 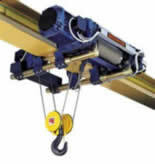 Our CraneWerks application experts can help you select the appropriate brand and style of hoist for your company’s specific needs. 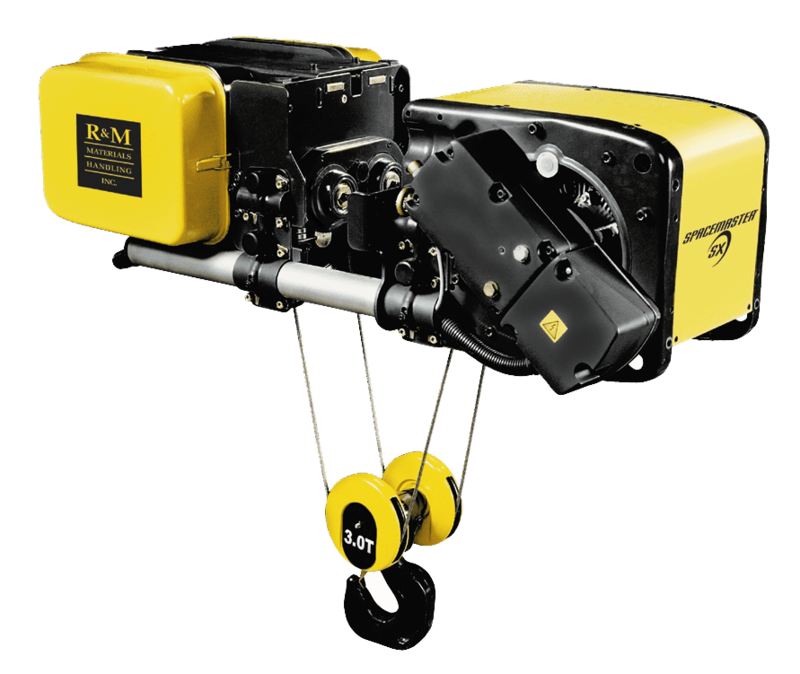 Built-up electric and air operated wire rope hoists are generally more robust hoists that are built for a specific application, including demanding uses such as magnet duty, foundry duty, molten metal pouring, and other high use and fast moving applications. 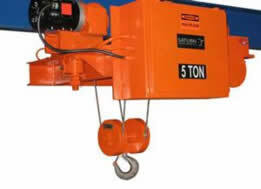 Each hoist manufacture listed below followed by an asterisks has a unique built-up product niche. 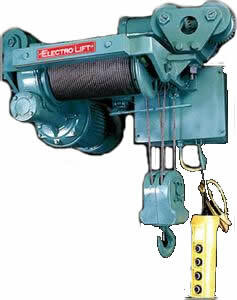 From this group of suppliers we can provide a built-up hoist for virtually any wire rope hoist need. Up to H5 duty class available. 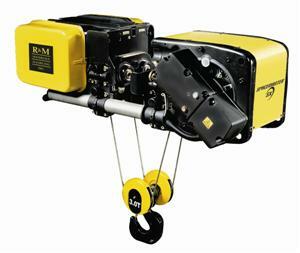 CraneWerks application engineers are available to answer your questions concerning electric and air operated wire rope hoist applications. 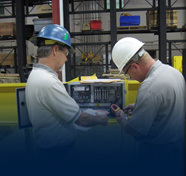 Call or write to us for a quick response to your needs. Need a quote in a hurry? 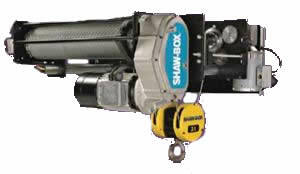 Most wire rope hoists can be quoted same day if needed.